When you are purchasing a new vehicle, one thing that is essential to know is the warranty length and coverage. 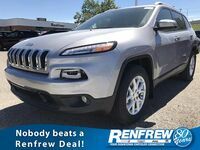 When buying a new car from Renfrew Chrysler, you can be assured that you will get a car that is covered by warranty. 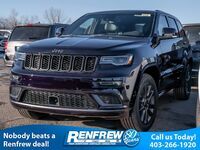 Here at Renfrew Chrysler, our number one priority is having our customers leave our lot in a new vehicle they will love to drive for years to come. Read all about Chrysler, Dodge, Ram, and Jeep Warranty Coverage below! If you purchase a Chrysler from us you will be covered with 5 years or 60,000 miles Powertrain Limited Warranty (whichever comes first). That is the same time length for the Jeep warranty coverage. Dodge and Ram have a different coverage. Both have the 5-year/60,000-mile Powertrain Limited Warranty but they both get a 3-year/36,000-mile Basic Limited Warranty. Diesel vehicles receive a 5-year/100,000-mile Powertrain Limited Warranty. No matter which vehicle you choose, you can be reassured that your vehicle will be covered for years to come! The Powertrain Limited Warranty covers the cost of repairs on all powertrain components that are covered. These include the engine, transmission, and drive system. Coverage also included complimentary towing to the nearest Chrysler, Dodge, Jeep or Ram dealer if needed. If you have a Ram or Dodge, the Basic Limited Warranty provides bumper-to-bumper coverage of your vehicle, from the body to the electrical system. Most new vehicles come with the Roadside Assistance Services for when you need a jumpstart, roadside fuel, towing, or flat tire service! If you sell your vehicle before the warranty is up, you will be able to transfer it to the new owner. That goes for buying a used vehicle covered under these warranties also! The warranties listed above give you the confidence you need to know you and your vehicle are protected for years to come! 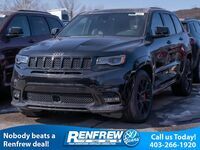 If you have any questions regarding the warranties, contact our sales team here at Renfrew Chrysler. If you see a vehicle you like, schedule a test drive today!